The availability of turf fungicides and the way that we use them is changing rapidly. 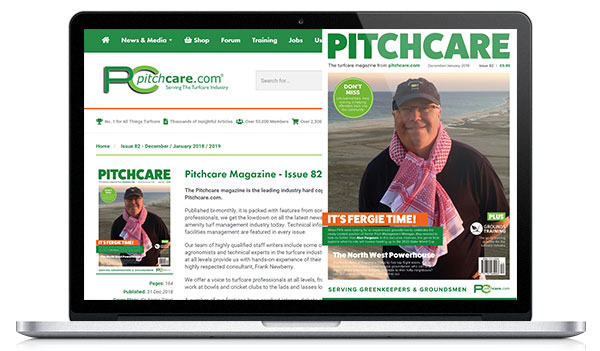 Syngenta Turf Technical Manager, Glenn Kirby, reviews how the situation is evolving, and implications for the future. New technology continues to develop at an incredible pace in all aspects of life and, for the most part, gets better with every iteration. They do the same job, only better, faster and more efficiently. Turf fungicides are no different, but it is important to understand why they are currently changing so quickly, and what the implications of that are. The developments we are seeing is the industry moving to the position with fungicide use of: 'as little as possible; as much as necessary'. That means, as turf managers, all other tools and agronomy skills will have to be fully utilised to maintain clean and healthy turf. 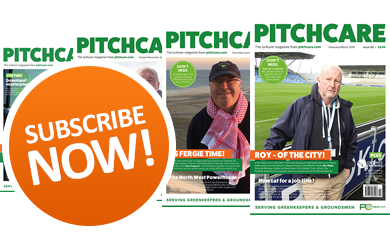 But, when the pressure is on and the players' demands are for higher quality, then fungicides will play a crucial role to protect and present playing surfaces at every level. Over the past few years, pesticide legislation has changed and all active ingredients have been exhaustively reviewed. The criteria for these products has tightened, along with increased data becoming available. Furthermore, analysis has become far more sophisticated in detecting residues at minute quantities; where chemists used to talk in parts per million, it is now parts per billion. If assessed and deemed unsuitable, the active ingredients may be withdrawn completely, or sometimes the amount that can be used will be reduced to a point that the product is no longer effective for the situation it was previously used. 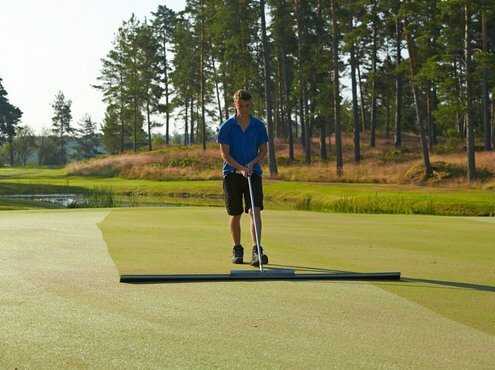 These legislative changes started around ten years ago, but have taken until recent years to impact the turf industry. A whole range of key products have been removed from the armoury, with iprodione and, more recently, the announcement of the loss of propiconazole over the coming months. Some of the "go to" products we used in the past did have significantly more active ingredient than was needed to control diseases in some instances. With iprodione, for example, that did give some degree of flexibility and a 'get out of jail' capability if applications were late or conditions not ideal. However, the positive news is that significant investment has been made in the last decade which is bringing in new active ingredients that can be even more effective. These will meet even tighter safety criteria, to help ensure they will remain available for the future. 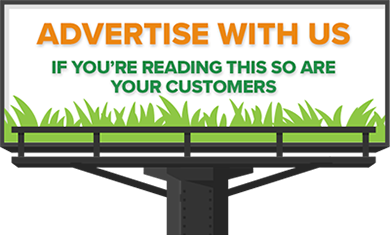 The new actives coming through are extremely potent on target turf pathogens, however the amount that is permitted to be included in the products sold is typically less. So, whilst the approved dose is set where the products have been shown to achieve reliable and consistent control across the majority of disease pressure instances, there remains the possibility they may not achieve full control in extreme situations. Therefore, the way these new fungicides are used to get consistent control is changing too - right product; right time; right place. The nature of the new fungicide actives currently being developed do mean that better results are always achieved when used in a preventative programme. That doesn't mean more routine use, but the need to get better at assessing all the conditions for disease risk to predict when it will strike, and to apply proactively as close as possible to infection periods. Getting better at predicting and modelling disease pressure will enable optimum timing to be achieved. 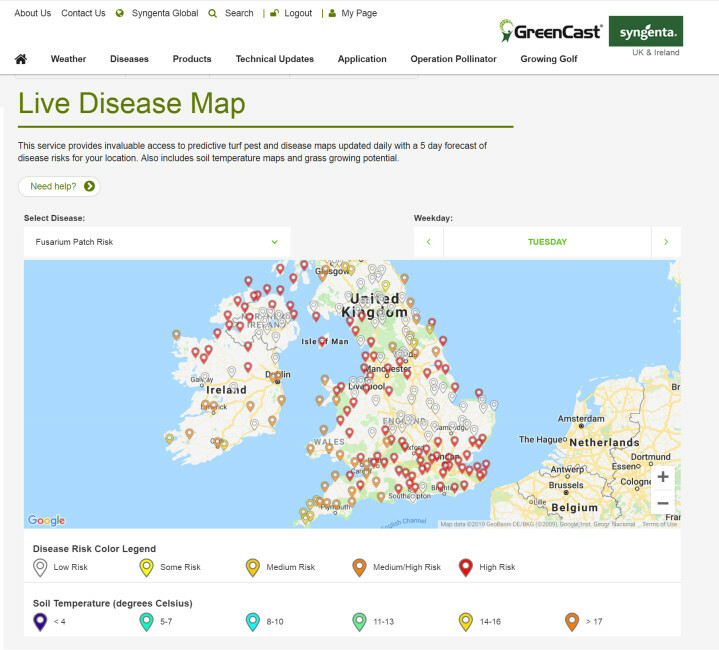 There are some very good five-day disease forecasts available on GreenCast to support decision making, for example, but they do still require the experience and local knowledge of turf managers to interpret and apply the knowledge in their own situations. STRI trials have shown that, over the course of the season, better turf quality can be maintained using fewer fungicide applications timed according to disease risks, compared to routine treatments or application at the first signs of visible disease. The key element of that is to fully utilise all options to maintain better core turf health, and to build fungicide use into an effective Integrated Turf Management plan. Also, we will need to pay closer attention to physical application to get the best performance out of new fungicides. That means identifying suitable spray windows at an appropriate time, and using the right nozzles, pressure ranges and water volume to hit the target and get the product where we want it. Where 'stretching' a hectare application across 1.2 hectares of greens could have given adequate results in the past, that would effectively result in 20% under dosing, for which there will be precious little margin in future. Accurate measuring of areas, regular sprayer calibration and maintenance will be crucial. 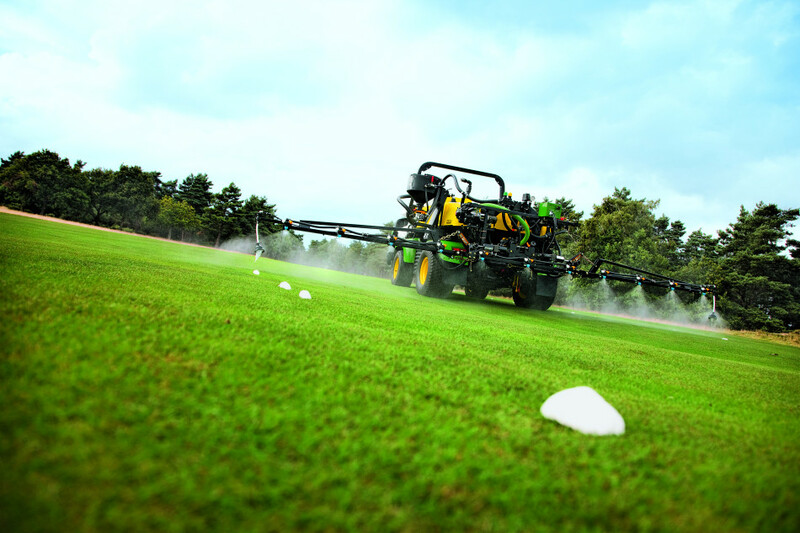 The role of the professional sprayer operator is going to be more important than ever. It's an ongoing process, with frequently moving goalposts, but we have a dedicated regulatory team who specialise in studying this area. They are constantly looking forward to see how products, both current and in development, will sit within these new and projected future criteria. Syngenta continues to invest in turf specific R&D to ensure a range of products will be available to the turf industry. Following on from the introduction of Instrata Elite, there are hopes to launch another new fungicide early in 2019. Based on innovative new chemistry, it is already in the regulatory authority registration process. Trials show the new active delivers effective and broad spectrum activity with lower active ingredient loading and offers a reliable replacement for propiconazole products. 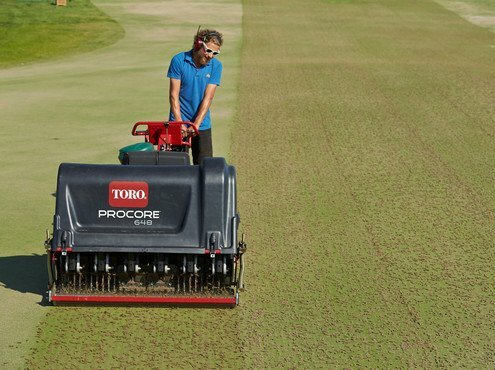 Along with strong technical support and funding of independent industry research, turf managers can be confident of the continued capability to maintain high quality playing surfaces in the future.